Home > Idea Generation > Afterwork 1: Can Manual Thinking be used to make music? Our first afterwork session of the year has been a great success! Guided by two renowned musicians, composer and orchest director Pedro Alcalde, and Ernesto Briceño, founder and director of the Centre d´Estudis Musicals Maria Grever, we´ve discovered how Manual Thinking can be used for creating music. 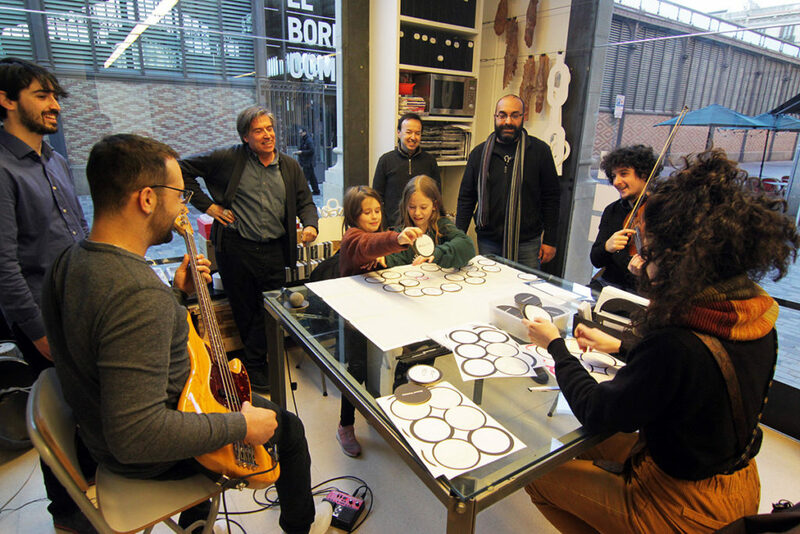 In a mixed crowd of ages and backgrounds, we´ve learned how the tool can help in the understanding and composition of music, and experienced how it can be implemented to make live music, which proved to be great fun! A very interesting and entertaining session with great vibes. Thanks to all the musicians and guests who attended the session! Keep an eye on our social media to be sure not to miss the upcoming sessions!